1950. 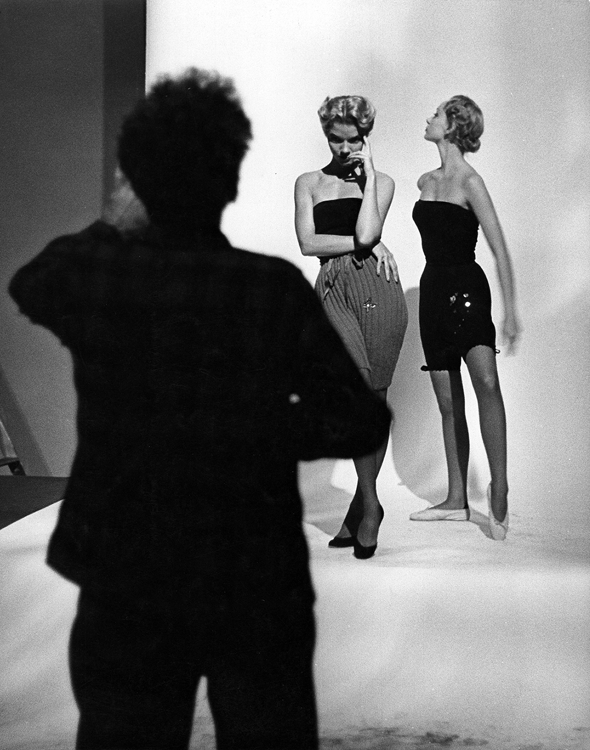 Gjon Mili in the studio with two models wearing knee-length wool-knit tights during a fashion shoot for LIFE magazine. Born 1904 in present-day Albania, Gjon Mili grows up in Romania before emigrating to the US in 1923. Trained as an engineer, he teaches himself photography and it’s in this capacity that he joins LIFE magazine in 1939. Over the following decades he travels within the US and Europe to shoot a variety of subjects including celebrities, artists, sports events, concerts, sculpture and architecture. His most significant legacy, though, is collaboration with Howard Edgerton to pioneer the use of strobe lighting to capture a sequence of actions in one photograph.